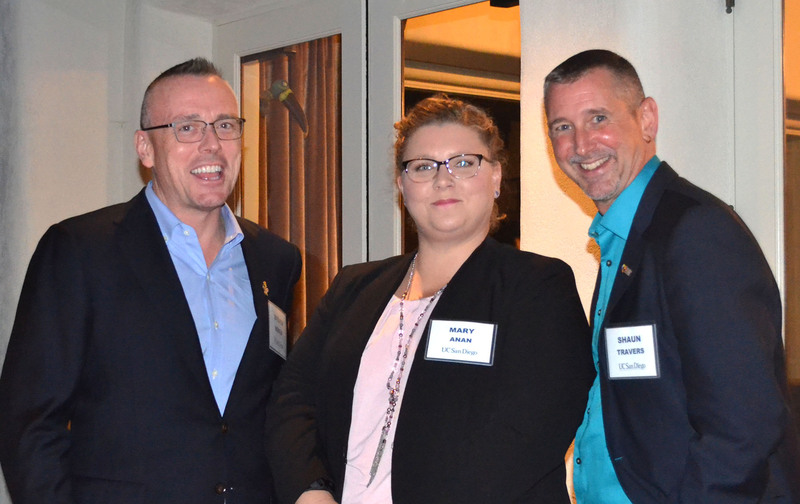 Over 45 faculty and unit leaders attended an inaugural event at Geisel House to celebrate UC San Diego’s lesbian, gay, bisexual and transgender (LGBT) faculty community. 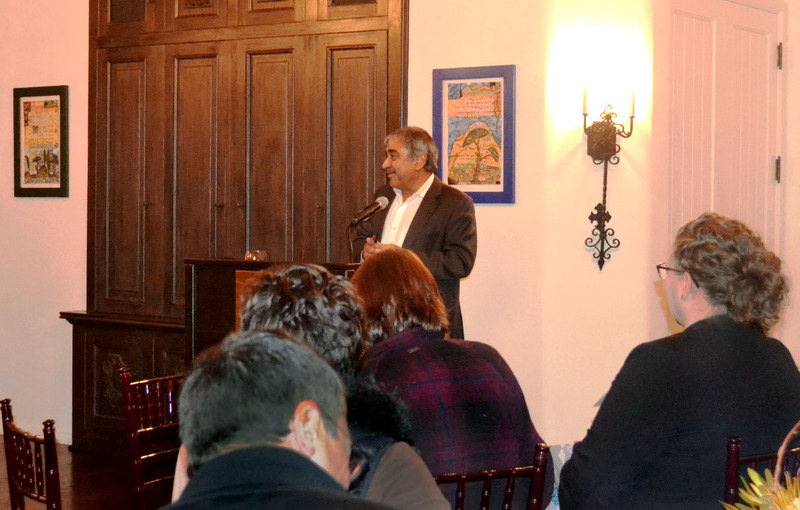 Chancellor Pradeep K. Khosla commended all for their efforts to make the campus more welcoming and inclusive. He also shared how these efforts have contributed to UC San Diego’s placement among the best universities for LGBTQ students. The campus was named among the top 10 public universities in the nation for LGBTQ students by both College Choice and BestColleges.com. In addition, UC San Diego Health was listed as a top 100 LGBT hospital as well as a “Leader in LGBTQ Healthcare Equality” by the Human Rights Campaign Foundation. 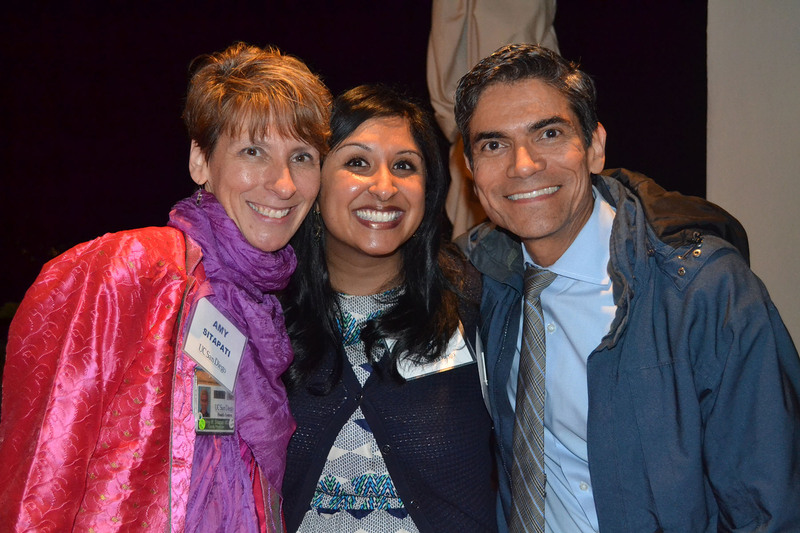 Left to right: Division of Physical Sciences Dean Steve Boggs; Vice Chancellor for Equity, Diversity, and Inclusion Becky Petitt; and Chancellor Khosla. Chancellor Khosla thanked faculty members for promoting an environment where students from a wide range of gender and sexual identities can thrive. He also recognized the work of the Chancellor’s Committee on Gender Identity and Sexual Orientation Issues (GISOI), the campus LGBT Resource Center, and student organizations like the Black Queer Collective, Aces Group and oSTEM. The co-chairs of the GISOI shared local efforts over the last year to advance inclusion and equity for UC San Diego’s LGBTQ community. Vice Chancellor Becky Petitt and Executive Vice Chancellor Elizabeth E. Simmons also shared remarks, echoing the Chancellor's commitment and message of support. And Shaun Travers, director of the LGBT Resource Center, honored Professor of Medicine Amy Sitapati, M.D., for her work to identify and serve the health needs of LGBTQ patients. Left to right: Professor of Medicine Amy Sitapati, M.D. ; GISOI Co-Chair and Assistant Professor Ankita S. Kadakia, M.D. ; and Frank Silva, Chief of Staff for the Office for Equity, Diversity and Inclusion. 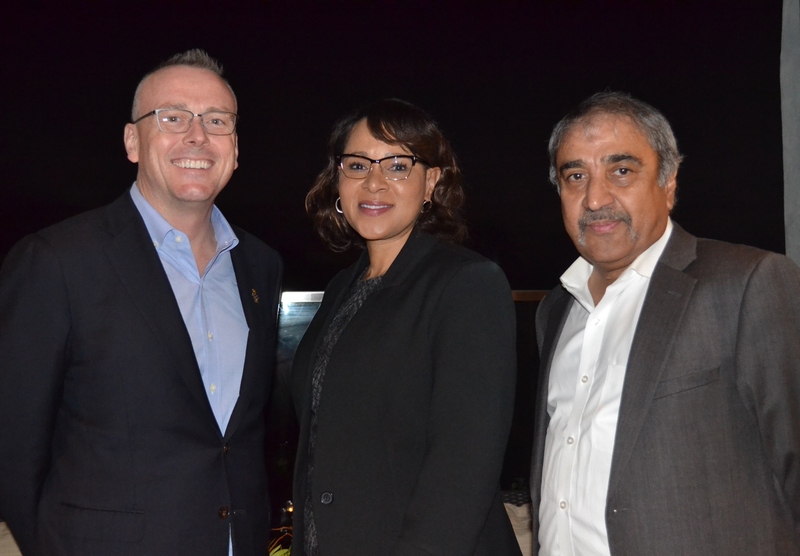 Left to right: Division of Physical Sciences Dean Steve Boggs; GISOI Co-Chair Mary Anan; and Director of the LGBT Resource Center Shaun Travers.